liquid eyeliner #42 This liquid liner brush is used for drawing fine, precise lines along lash line. Gives you the perfect Audrey eye. pointed concealer #53 Used to apply concealer with precision. It allows you to cover spots or flawed areas of the face without over blending or over working concealer. It's pointed shape makes it the go to brush for under eyes and other spots on the face. pointed foundation #54 Use this brush to apply cream or liquid foundation evenly and perfectly onto the skin. It will give a smooth, even application of foundation like no other tool can, especially over the foundation you may already have on. The best tool for end of the day touch-ups. radiant concealer/blender brush #59 This brush has luxuriously soft, densely packed fibers that are arranged in an oval shape. The go to brush for apply and stippling out your radiant concealer. 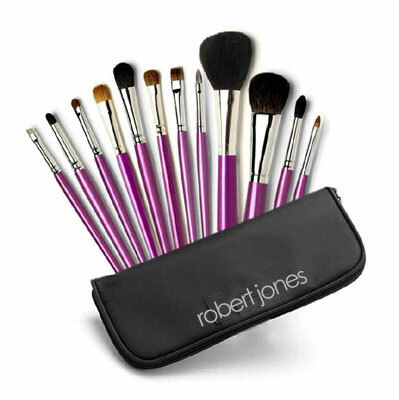 Perfect brush for the shading or blending of creamy or powdery products. blush or powder #60 Use this fluffy brush to dust on cheek color and blend in beautifully. 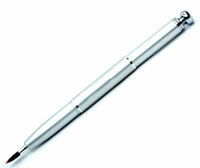 Its full domed shape gives you perfect application. ultimate blush #64 This brush is the perfect apple popping blush brush. The tapered shape is designed specifically for the application of your blush color to the “apples of the cheek”. detail powder / blush #73 Two uses: for a fine and precise application of blush, or to remove excess powder from tight areas, after application of loose powder with a velour puff. mineral foundation #74 Use this brush to apply powder foundation perfectly and evenly all over the face. The size and tapered shape makes it perfect for small detailed or larger areas of application. robert spent 5 years to perfect this unique detail powder brush. Ideal application for highlight powder for under eyes, on top of eye lids, applying your highlight powder to create a desired oval face shape, Plus adding spot shimmer. lip brush #80 A soft brush with a tapered fine point to apply lipstick and lip gloss with precision. retractable lip brush #82 A soft retractable brush that allows you to paint perfect lips every time, even on the go.